Hi Friends! 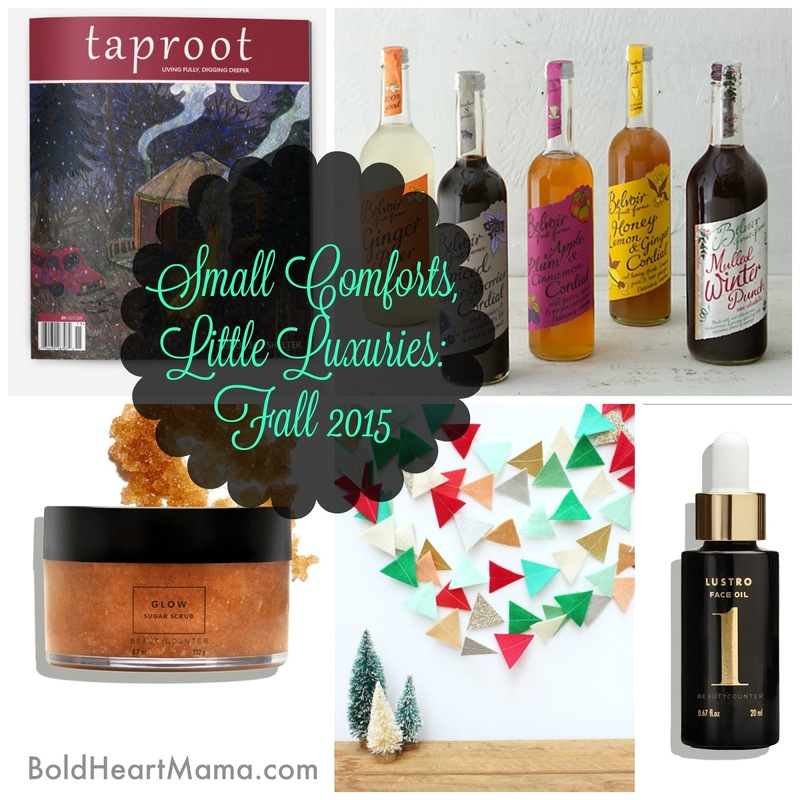 Tuesday is the official start of Winter so I'm sneaking in Fall's Small Comforts and Little Luxuries post just under the wire. These posts are about the little things that don't cost a lot (though they can feel like a splurge) but add value to your days because they appeal to your senses and bring delight. As you seek out facets of life to enhance your own comfort, pleasure, and joy, you can consider purchases like these an extension of the ways in which you nurture yourself as part of your self-care routine. 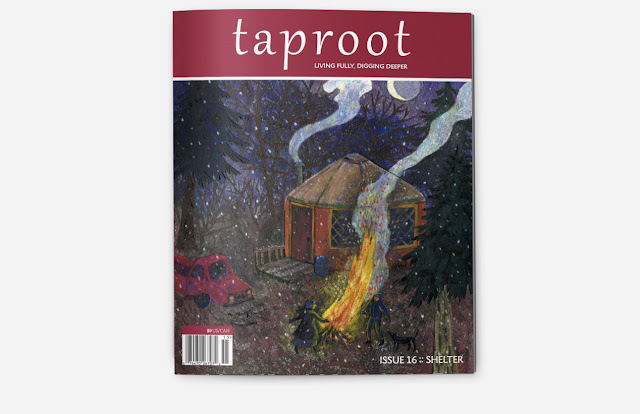 Taproot is the relevant, inspiring, and folksy companion for every season. It's ad-free, which is refreshing, full of beautiful illustrations and images, filled with words that stick with you and crafts, recipes, and ideas that will spark your imagination for intentional living. This issue's theme is Shelter and includes articles from living tiny (houses!) and unconventional, to nature teepees, screen printing, CSAs and root cellaring, comforting casseroles, and up-cycled hats for the entire family. So many good reads to be had in here! Taproot is also hosting a very cool pop up Holiday Shop with gift ideas for everyone on your list, maybe even a few goodies you'd like for yourself! The star of this sugar-based body scrub is citrus and lemongrass essential oils, which will perk up any dark morning (I promise! ), while evening primrose, sweet almond, apricot kernel, and sunflower oils keep you hydrated in these moisture-zapping colder months. The kids think I smell like gummy worms after I shower, which I'll take as a compliment. Smooth, moisturized skin definitely feels like a little luxury this time of year. As an oily/combo skin mama I wasn't so sure about the idea of applying oil directly to my face, even if they are essential oils. It just didn't sound like a good idea. Still, I needed to know so I decided to give it a try and guess what? It's kind of amazing. 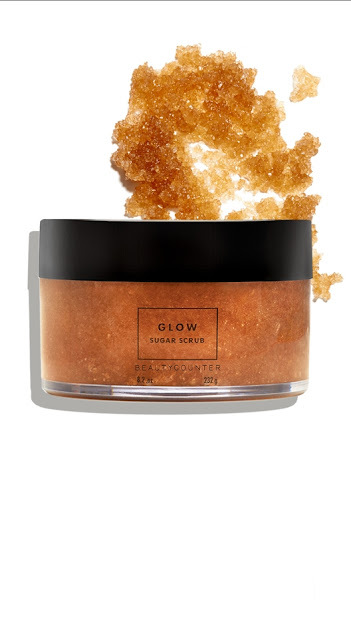 I can use a few drops of this instead of my usual moisturizer—though you can mix it with your moisturizer if preferred—and my skin stayed hydrated, and glow-y all day. (Pregnancy cannot have all the credit.) Even at days end my skin remained less oily than usual, and happily no breakouts. 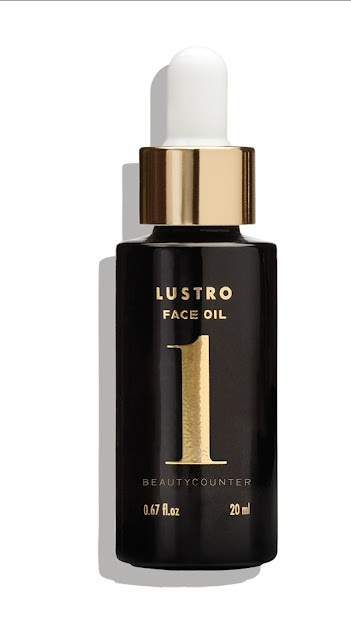 I love the morning ritual of applying this serum to my face because it smells so darn good. I've tried both the Jasmine (Face oil 2 for dry skin), and Calendula (Face oil 1 for sensitive skin) which smells like roses to me though the description states "leafy and herbal." If you're curious to try out these products (or others!) stay tuned for a post-Holiday Beauty Counter Giveaway! I really like garlands. A lot. I have many different ones I've made or purchased over the years and I rotate them seasonally. 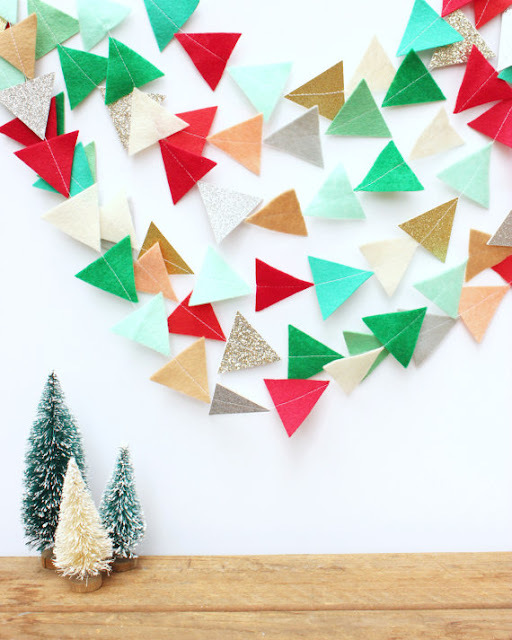 This year I added a glitzy, glam-like, festive garland of bright triangles to hang over the archway in our living room. StephLovesBen's Etsy shop is closed until the New Year but you can check out her instagram StephLovesBen to take a peak at the many pretty things she usually has for sale. 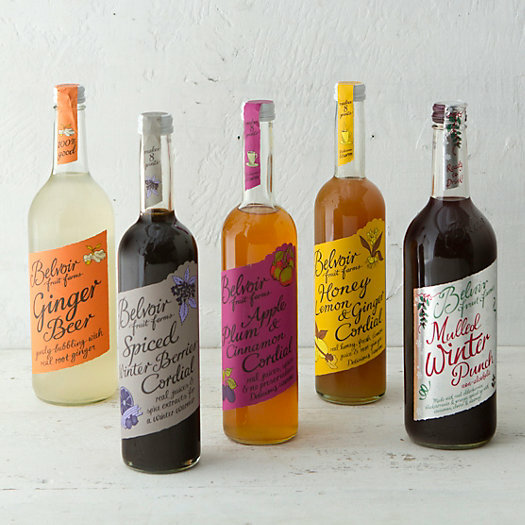 Delicious, seasonally inspired non-alcoholic cordials and presses to be shared with family and friends! Originating from the UK, the Belvoir winter line is currently offered at Terrain. We enjoyed the Apple, Plum and Cinnamon Cordial (similar to a light mulled cider) as well as the Mulled Winter Punch (a warmly spiced blend of elderberry, blackcurrent, and orange juices) warmed stovetop. The kids loved both, though I think the mulled winter punch was our favorite. Cordials can be mixed with wine or booze if you're feeling particularly festive! View the entire Belvoir Fruit Farms line here. Edit: It looks like Terrain is out of stock of the mulled winter punch. 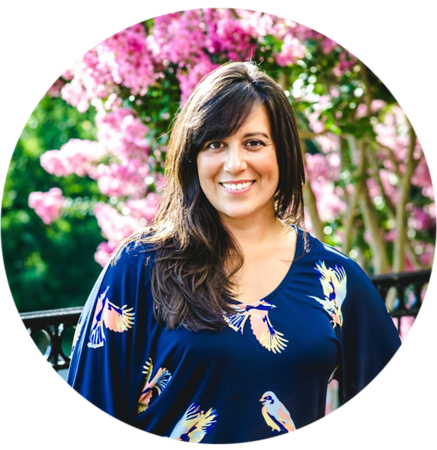 Ever curious to learn more about plant-based medicines I eagerly emailed Lindsey, the owner of Sweet Gum Springs Apothecary, when I heard about her Mississippi-based Winter Herbal CSA. She said she had one spot left so I joined-in in the middle to catch the remaining months of December, January, February, and March. Lindsey is a community herbalist and uses her extensive knowledge of plant-based herbal preparations to carry on the tradition of herbal medicine for health and wellbeing. The ingredients she incorporates into her products are either grown in her own garden or sourced and foraged locally. My first box included Winter Warmth Tea Blend, Hibiscus Fire Cider, Happy Lips Lemon Balm, and The Balm: first aid salve. I also added a small bottle of the Elder-Sumac Elixir. The winter sickies have entered our house so this was timely, and I enjoyed reading the accompanying newsletter that highlights the protective purpose and healing benefits of naturally occurring plant phytochemicals and how that translates to our human systems. Learn more about the Winter and Spring CSAs here, and check out the entire line of products, which can be purchased individually. Edit: Info is now available for joining the Spring CSA! PS. She's currently offering a holiday free shipping special for all orders over $40. I love trying out new products. i read about the one which are mentioned on the blog. it would be great if they could give out samples of it so that we can try before purchasing a big size.